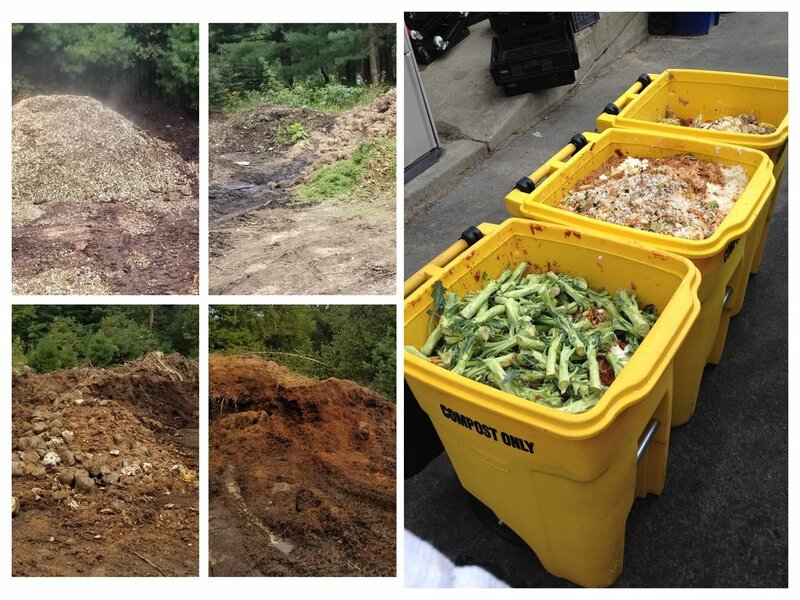 Different feedstocks for our compost recipe- wood chips, grass clippings, manure, mushroom compost and food scraps. 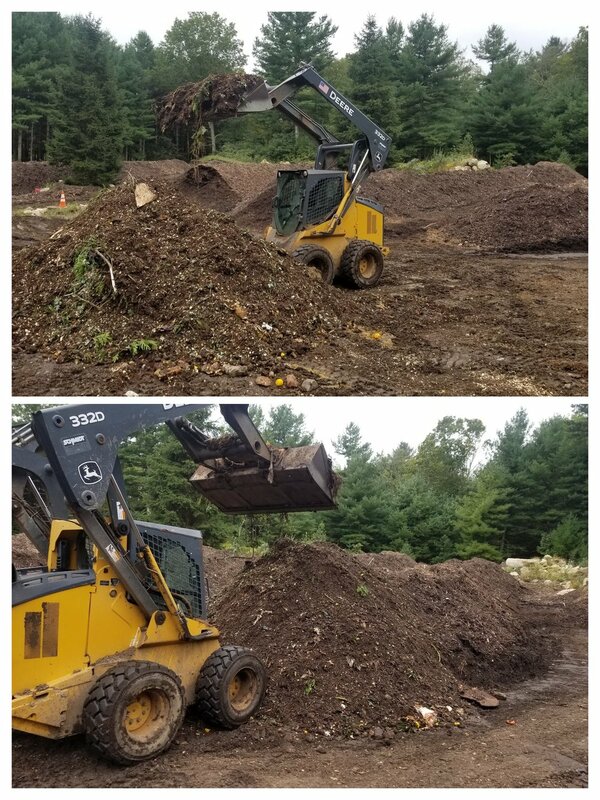 Using industry standards, we mix the right ratio of carbon sources (think leaves/wood chips/brush) to nitrogen sources (think manures/food scraps/grass clippings) together in a pile that has enough moisture and air pockets for microbes to thrive. With the proper carbon to nitrogen ratio, moisture level and pile density, microbes have the environment they need to start breaking down material into compost. We add spent mushroom plugs to the recipe to inoculate the pile with beneficial fungi and give the microbial colony a little more diversity. A Compost Plant truck dumping food scraps onto a pad of carbon material. 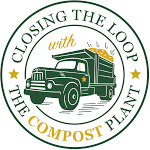 We collect our own food scraps around Rhode Island ranging from the hospitals and universities in Providence to the lobster shack on the Rhode Island State Pier in Newport. Each account is selected for its quality and contribution to our compost recipe. Manure, wood chips, leaves, grass clippings and brush are sourced from local farms and landscapers with whom we have a close working relationship. This diverse list of feedstocks ensures the highest quality finished compost, the foundation of all our Rhody Gold™ products. Mixing the pile and then placing into a windrow to start cooking. Once the recipe is thoroughly mixed, the batch is placed in a windrow so the microbes can start doing their job breaking down material. Each windrow is turned every month to ensure all parts of the pile get an opportunity to cook and to supply the microbes with additional oxygen. Temperature and moisture levels are monitored weekly to ensure each windrow is meeting regulatory standards for compost. The microbes doing their job and generating heat. Success!